In early May 2013 I lead an exploratory expedition into the Xinjiang Augur autonomous region in the extreme north west of China with my good friend Antony Watson. This is an extremely remote part of northern China that is home to the spectacular Tian Shan and Altay mountain ranges as well as the Flaming Mountains, Kanas Lake, Gobi Desert and more. This part of rural China is also home to the Silk Road and other historical locations of importance including the thousand caves of Buddha (two – three thousand year old caves). The province actually borders Russia, Kazakhstan, Tajikistan, Pakistan, Kurdistan, Mongolia, and India so there is a real cultural mix of minority people and a very heavy Arabic influence. If you have been following my blog you would have already read that I was quite excited at the prospect of venturing into this remote part of China. It is an area rarely visited by the outside world and it is only in recent years it has appeared on the map for Chinese tourists who travel mostly to Kanas and Heavenly Lake. Both of these locations are relatively easy to access and have significant tourist infrastructure in place. Some of the other locations we visited were deep in the desert and mountains and see little tourism of any kind. At one point during our travels we were only 60km from the Kazakhstan and Russian borders. It was an extraordinary and fascinating expedition with some truly spectacular landscapes. It was however, not without some significant challenges including vast distances between locations, poor infrastructure and lack of basic hygiene. In addition, there are some very significant environmental issues that I became aware of during my time in this part of China and I hope to raise awareness for the appalling state of the environment in this and future posts. Although we had planned our itinerary and shooting locations meticulously with the information we had available to us it became evident early on during our trip that it was going to be necessary to significantly alter our plans. Our wish to photograph the remote landscapes of the Gobi Desert and other landscape locations had been somewhat lost in translation with the various intermediaries (mostly due to the language barrier) who had helped us arrange this trip and since we had little idea of what to truly expect at each location we had to adapt and make the best of it. We were extremely fortunate to have a very friendly and knowledgeable guide (who spoke English, Mandarin and the local Augur dialect) and driver who quickly understand that what we really wanted to photograph had been lost in translation. They were able to alter our itinerary on the fly to ensure we visited the best locations for landscape photography. I owe them both a debt of gratitude for their hard work and dedication in ensuring we maximized our time for photography in this part of China. It is worth noting at this point that this trip would have been absolutely impossible without an experienced local guide and driver. No one we encountered spoke any English in this part of China and we did not see another westerner from our arrival in Urumqi to our departure twelve days later. The net result of these itinerary changes was that we ended up driving just over five thousand kilometers in ten days including several days of ten plus hours in the car. If you have ever spent repeated ten-hour days in the back of a Toyota Land Cruiser you will understand just how challenging this quickly becomes. Compounding this issue was the generally poor state of the roads and the willingness of the local truck drivers to dice with death when passing and overtaking. It is not an experience I am keen to repeat. 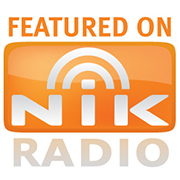 Our adventure began in the city of Urumqi in northwestern China. Urumqi is the largest town in this part of China and is reached via an approximate four-hour flight from either Beijing or Shanghai. Urumqi is perhaps best described by Australian standards as a third world city. Thick smog hangs over the city from dawn till dusk thanks to the myriad of coal-fired power plants that dot the countryside in this part of China. The city is heated during its freezing sub zero winters by burning coal in huge furnaces and as a result there is very significant industrial pollution. To put the pollution into some sort of perspective our guide advised us that the snow falls black during the winter months in Urumqi. 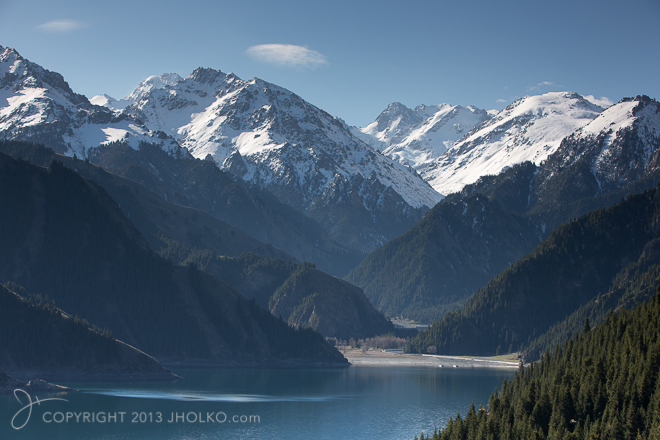 From Urumqi we drove for several hours to Heavenly Lake in the Tian Shan Mountains. This was an interesting location and a nice counterpoint to Urumqi and we photographed the spectacular mountains, Heavenly Lake and Golden Eagles that soared over the trees and mountains on thermal currents. We also visited some local Kazak people, had a traditional lunch of Nan bread and Kebabs and visited their Yurts. Although there is significant tourist infrastructure the area is still relatively unspoiled by Chinese standards and the air at this altitude relatively clean. As is the Chinese way it is not possible to drive into the park and you have to park at the bottom and take a shuttle bus. We arrived prior to sunrise however and had received special permission to take our four-wheel drive to the top and so were thankfully able to avoid the tourist bus trap. One of the key benefits of travelling with a local guide. From Heavenly Lake we travelled to a remote area in the Gobi Desert known as the Ghost City. This was a wonderful location for landscape photography in what is locally known as the Yardang landscape. A landscape comprised of unusual compressed earth formations and outcroppings that have been eroded by the wind over many hundreds of years. The area is so named for the eerie and unusual sounds the wind makes as it whips around the desert formations at night. We photographed in this location at both sunset and sunrise and could have easily spent several days exploring the area. Ghost city turned out to be one of the real highlights of the trip with a truly spectacular lunar like landscape. It is one of the locations I would be keen to revisit should I find myself in this part of China again. After we had finished at the Ghost City we travelled to a location the Chinese call the Rainbow Beach. The beach is hilariously signposted as ‘The Best Beach in the World’ and is located near Burjin. This was a challenging location to photograph due to the tourist infrastructure. Rainbow beach is not a beach in the true sense of the word. Rather, it is a series of highly unusual and colorful landscape formations along the edge of a large river. It was geologically an interesting location and as it was in our travel path was worth an afternoon stop. 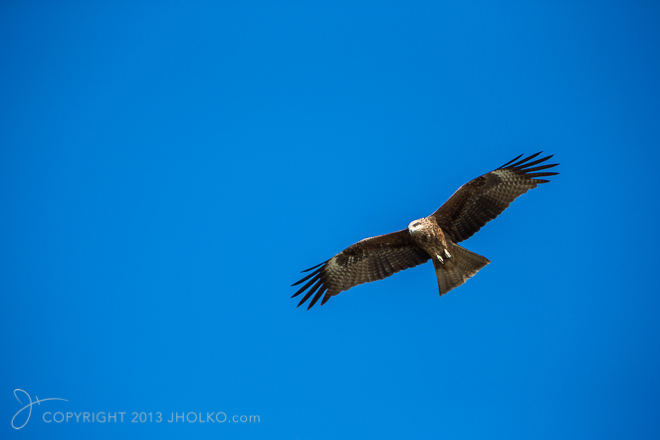 We then spent the next two days at the remote village of Hemu and Kanas Lake. Kanas Lake is fed from the Kanas glacier and is located high in the Altay mountain range near the Russian and Kazakhstan borders. We had a very heated argument with Chinese authorities in Kanas Lake as this location is geared toward Chinese tourists and driving ones own vehicle into the park is not permitted. Instead you are required to park at the entrance and catch a shuttle bus into the park. After a long and heated argument we were forced to find an official and seek special permission to take our four-wheel drive to the top. We were able to obtain written permission, but even so the officials at the checkpoint did not want to let us in. It took some very animated words from our driver and guide to finally convince them to allow us access. Kanas Lake itself is a very pretty location that is nestled high in the mountains. The area sees very significant internal tourism from China and there are numerous hotels to choose from inside the park. There appears to be little regard for environmental planning as none of the infrastructure is what I would deem environmentally conscious or friendly and all of it is geared toward managing bus loads of tourists. We visited this location during the off-season and still witnessed in excess of fifty large coaches in the main car park. Hemu is a location rarely visited by westerners and we may well have been the first westerners to overnight in this remote village. We were certainly the first westerners many of the locals had ever seen and according to our guide the first foreigners he has ever taken into Hemu. 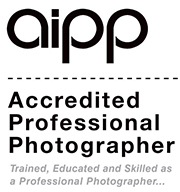 It was an interesting experience, but photographically was a bit of a disappointment. We had planned our trip with the idea of photographing the landscape in this region; which although pretty was not photographically all that interesting. However, due to the large cultural mix of minority people there are excellent opportunities for people and street photography in this remote village. From Kanas we travelled to Fuyn and Turpan stopping along the way to photograph the barren landscape; which in small part reminded me of some areas of Iceland. 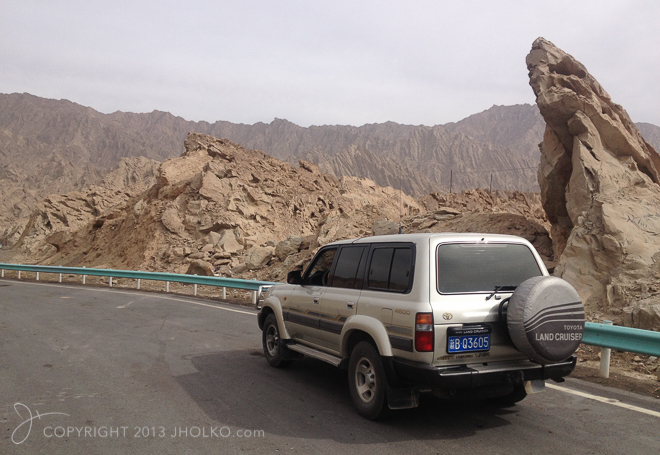 From Turpan we travelled to a location known as the Rainbow City. 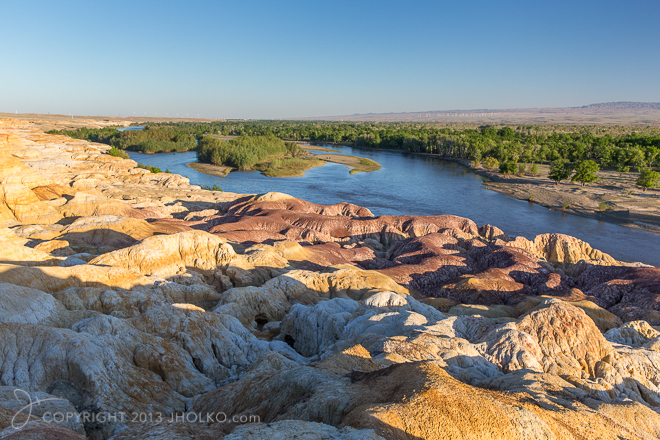 This was a fantastic location for landscape photography that is well off the tourist path in the Gobi desert. 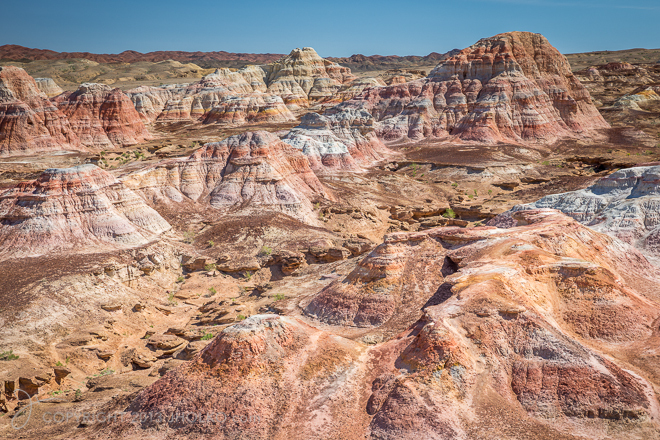 The area is comprised of multi-colored earth mounds and canyons that are rich in iron and rhyolite. Unfortunately, we had only limited time at this location and due to the long distances we had to travel we missed the soft light of sunrise. Nevertheless it was a wonderful location that rates as one of the best we visited for landscape. It is an area I would like to revisit during the small hours to photograph with soft, but dramatic cloud and light. 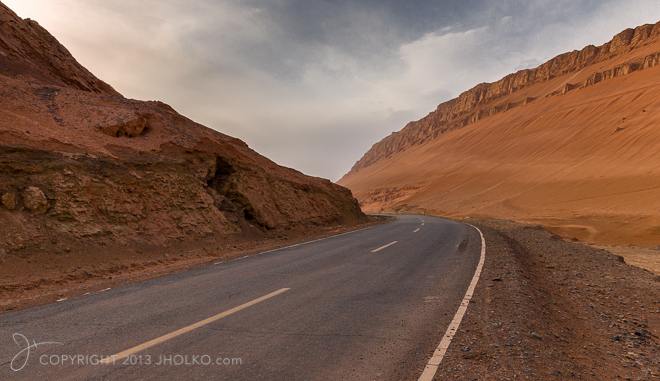 We also visited the Flaming Mountains and the thousand caves of Buddha. Both of these areas offer outstanding landscape opportunities but are quite challenging photographically. 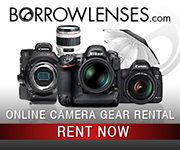 This region is extremely dry and we constantly battled dust in our cameras and lenses. The Thousand Caves are a major tourist attraction and the infrastructure is therefore geared toward tourism. 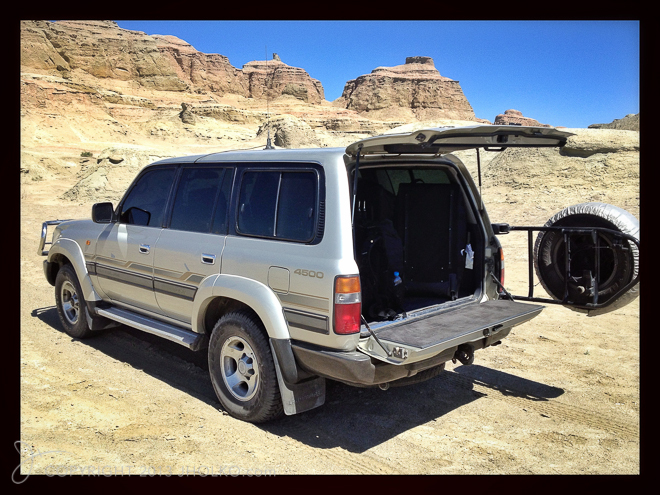 We found it better to head into the back roads and seek out more remote landscapes. Our guide was able to steer us toward a back canyon that proved fabulous for photography. From the Flaming Mountains and Shanshan we drove to Kucha and the Holy Grand Canyon in the Tian Shan Mountains and Gobi Desert. This was another extraordinary location for landscape photography that rarely sees foreigners. 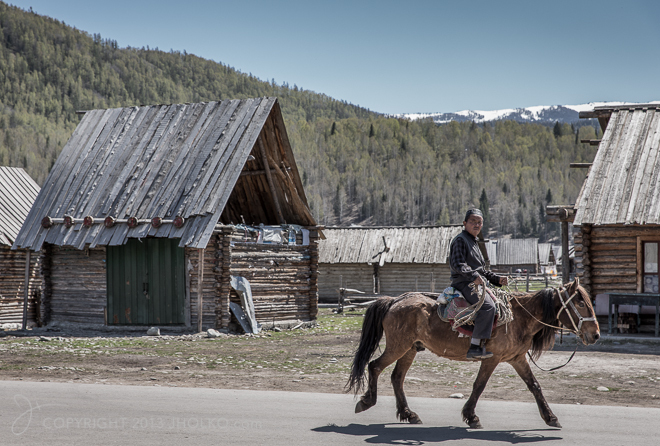 We were greeted by local Kazak people on our arrival that had never before seen westerners. Their amazement at our arrival was an experience I will not quickly forget. The canyon itself is enormous and it is somewhat difficult to capture the scale and grandeur in a single photograph. 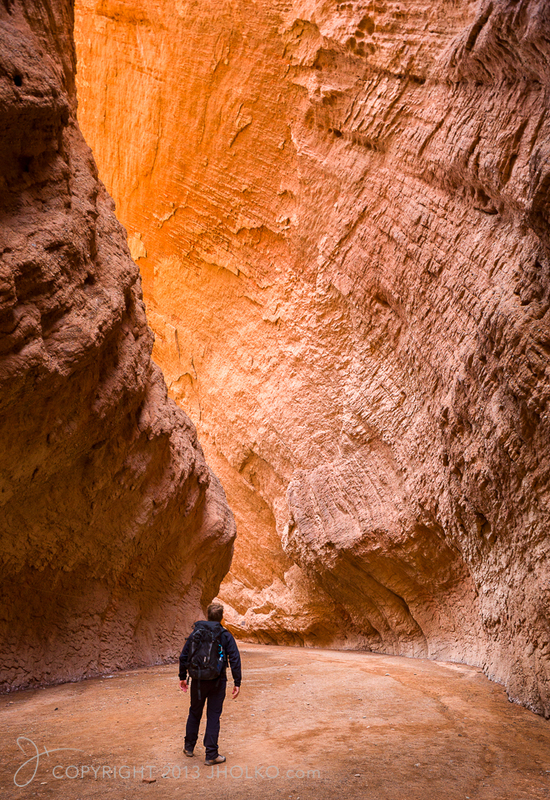 I found this photograph that included the human element best captures the scale of the canyon. We spent several hours exploring and photographing in this location and I would rate it as a must visit for anyone travelling in this part of China. 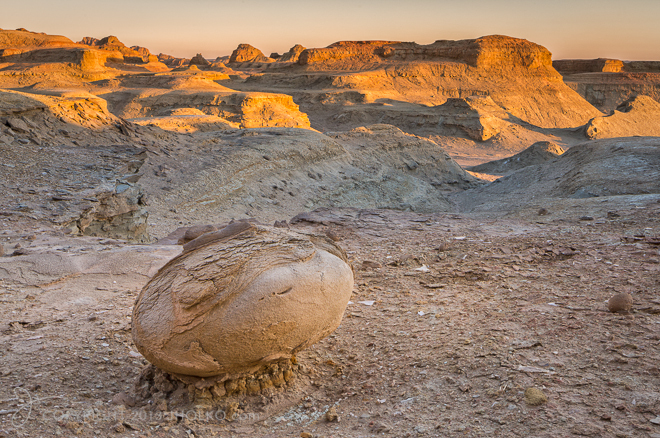 We spent our last evening photographing at the edge of the Tian Shan Mountains where there are highly unusual pancake like formations of compressed sand that have been eroded and shaped by the wind. The landscape in this area is unique in my experience and very surreal. Although we were not blessed with great light at sunset it was nevertheless a wonderful experience. During our time in China we experienced some very extreme variations in weather including searing heat, a rare desert thunder and rainstorm, a hailstorm, sand storm and freezing cold and snowfall in the mountains. Overall, this was a fascinating journey into this part of rural China that came with some very significant challenges. The infrastructure in many locations is extremely poor by western standards and the distances between the best locations for landscape photography are vast necessitating many thousands of kilometers of travel. Some of this travel could likely have been avoided if we had better information about the locations we wanted to visit. Should we return we will certainly be able to reduce the distances travelled on a daily basis; however anyone travelling into this region for photography should be prepared to spend significant time in the car. The hotels that are available to foreigners in this part of China are generally of a very poor quality by western standards. Whilst they are locally rated as three star (or even four star) several had no hot running water and were both smelly and dirty. Our accommodation in Hemu for example was really nothing more than a wooden shack. By western standards the hygiene levels are extremely poor across this part of rural China. Food is generally prepared openly in the street where lamb and fish are seen hanging in the sun. In areas where there is seating food is prepared in back room kitchens that are best-left unseen. Tables and chairs are filthy and plates and cups need to be wiped down and sterilized before use. I admit to saying a few Hail Mary’s before many of the meals we consumed. Although both Antony and I were meticulous with sanitary hand wash for the duration of this trip (even wiping down chopsticks, cups and bowls) and did not drink the water we both still ended up with badly upset stomachs on two occasions during our time in China. 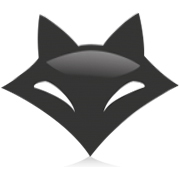 In fact, it has taken both of us more than a week to fully recover. The predominant food on offer in this part of China is lamb kebabs, Nan bread, a sort of rice Pilaf and a local noodle dish which comprises of thick noodle either boiled or fried with a mix of capsicum, onion, tomato and then loaded with Chile. There is little in the way of western food available and anyone travelling into this region would be well advised to pack ample supplies of protein and energy bars. Many of the locations we visited were truly spectacular in terms of landscape. China quite literally has some of the most amazing desert and mountains I have ever had the pleasure to photograph. Unfortunately, China and the Chinese people are treating its landscape as a giant rubbish dump. Even in the most remote of locations it is impossible to get away from discarded and smashed beer bottles, old plastic drink bottles and infinite torn and semi degraded plastic bags caught in barbed wire fences. There is zero respect and utter contempt for the environment. China’s countryside is in serious need of a clean up program much like the highly successful one Australia ran during the 1980’s (clean up Australia). However a clean up program is not enough and an education program needs to follow to teach the people to respect nature and the environment. The sort of change required is generational and the time to start is now. On top of the seemingly limitless rubbish there is very significant industrial pollution and smog even in the remote desert areas. Countless coal-fired power plants belch pollution into the atmosphere twenty-four hours a day. There is a thick and pervasive atmospheric haze that hangs over the landscape that significantly reduces visibility and makes photography somewhat problematic. Although there are several large wind farms in this part of China the reality is that they are dwarfed by the countless coal power plants – many more of which are still being constructed. A never-ending stream of overloaded coal trucks can be seen coming and going along the highways to feed the voracious power plants that scar the landscape. Remote China is a difficult country to navigate for foreigners. During our time in in this province we were stopped at roadside checkpoints where our passports were checked by machine gun totting police and were photographed countless times by roadside security cameras. Each hotel we stayed in scanned our passports and alerted the local police of our arrival. Many of the hotels attempted to keep our passports to verify our identity and some heated discussion ensued (via our guide) when we refused to allow them to hold onto them. It was a very strong counterpoint experience to travelling in western society and an interesting insight into the Chinese communist culture. My feelings are somewhat mixed at this point about the possibility of returning to China in the future. On the one hand it is home to some incredible landscapes that are nothing short of extraordinary. On the other there is a lack of respect and contempt for the environment that is truly appalling. China is a country that is destroying its environment at an incredibly alarming rate and it makes me sad for my children and subsequent generations if the state of China’s environment is an insight into the future of our world. Footnote: I chose not to photograph the pollution and rampant environmental destruction in China. I simply found it too upsetting and distressing. I chose instead to focus on those natural landscapes that I found truly extraordinary. It is important to point out that even in these remote landscapes I frequently had to remove broken and discarded bottles and other rubbish from my photographs in order to exclude the hand of man. I am planning to go to the north of Xinjiang in June and looking for the places that are still untouched, without all the touristic developments. Where do you recommend for hiking and just soaking in nature in peace? Olivia, Check out the post on my blog that covers my trip through Xinjiang. Should you give you a few pointers. Safe travels!